Press Release –A Call to the International Community A Call to the International Community A Call to the International Community Somaliland needs an urgent mediation by the international community. tional community. We, the Somaliland United Movement for Change vehemently condemn the recent unconstitutional agreement between the Kulmiye and Ucid parties in Somaliland to hold a national election in 2019. The agreement excludes the Waddani party, the second largest political party in Somaliland, and will result in chaos. The disagreement concerns changing the composition of the National Election Commission (NEC). This agreement (Kumiye Ucid agreement) goes against Somaliland’s constitution and election laws, which clearly state that the election is for three parties. This two party agreement is hijacking Somaliland Democracy. It contradicts the principles of concession and understanding, which lie at the base of political culture in Somaliland. It repudiates international understanding and common sense, which holds that a National Election Commission (NEC) needs to have the endorsement and trust of all parties. The Waddani Party (the excluded party) represents more than 40% of Somaliland’s electoral base, as was shown in the Presidential Election of 2017. It is alleged that the Kulmiye party won the Presidential Election of 2017 through fraud rather than the popular vote of the electorate. This led to nationwide discord, which still continues. As the incumbent party, Kulmiye was expected at least to be mindful of this discontent and to give the main opposition party room for negotiation. Kulmiye’s government leaders are tainted with allegations of corruption and the reckless sale of national assets and economic hubs such as Berbera port. The Kulmiye government, led by Musa Behi, is carrying out illegal arrests, gagging of thinkers and silencing anyone who dare speaks against their administration. Ordinary people have been arrested for using such social media platforms as Facebook and WhatsApp to express their opposition to the government policies. Members of the public have been tried in military courts and given lengthy sentences. Journalists who have criticised the government’s policies have gone into hiding in fear of their lives, while others are constantly threatened with having their licenses revoked. The government has given excessive power to use the police forces and military to subjugate the ordinary people of Somaliland, including the power to use of live ammunition to shoot public protesters or individuals. Evidence exists which shows that the government is fanning the flame of never-ending clan warfare in Somaliland, to create a distraction from the deteriorating economic and political situation. The government is blamed for eroding justice and rule of law. Rank and file soldiers, as well as officers, have defected from the army and have set themselves up in the neighbouring Puntland state, calling themselves the ‘armed opposition movement’. It is widely believed that the government deliberately triggered current high inflation rates which are causing market instability, unemployment and the stagnation of many livelihood options. The country is on the verge of civil uprising and all the gains of peace in the last decades to be lost. Clan-based nepotism in recruitment for public posts, in the allocation of government tenders and in military promotions, and the marginalisation of certain regions in resource allocations from International Development Funds, have led to widespread grievances. Free and Fair elections were the only hope that the people of Somaliland had to respond to these challenges. Call on the UN, and particularly its Special Representative for Somalia and Somaliland, to follow closely the situation on the ground, which is becoming more despotic. 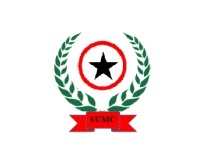 NB: Somaliland United Movement for Change (SUMC) is a political movement which opposes corruption, clannishness, subjugation of freedom of expression, gagging of journalists and all forms of injustice. SUMC is based in the UK but also represented in EU countries, USA, Canada and Australia.